From the coast of Alaska to the Yukon–Kuskokwim Delta of the Bering Sea, the Yukon River one of the great water-masses of the world. Over its 2000-mile course, the Yukon is vital to untold numbers of species and the many human communities that rely on its natural bounty. 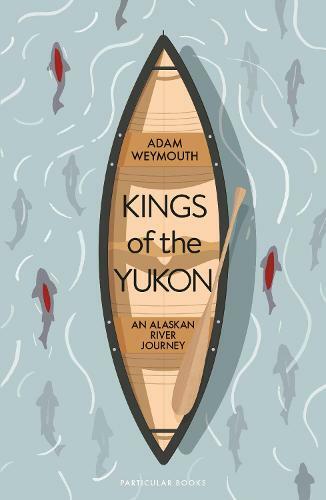 Kings of the Yukon: An Alaskan River Journey is a dazzling, empathetic portrait of this river, written from the perspective of one who has kayaked its length. For four months, Adam Weymouth paddled upstream, following in the path of the extraordinary migration of the King Salmon. Battling upriver against colossal walls of water and risk, these majestic fish are iconic of the river itself, symbolic of its deep history and ecological continuity. But as Weymouth quite magnificently records, much of this symbiosis now lies under threat. Extreme human change – surfacing first in the Klondike Gold Rush – applied pressure to both the river’s natural systems and the tribes indigenous to the region alike. Pollution from industry has taken its two-century toll and in the midst of it all fight the King Salmon, now driven into danger by the intense oil processing that is gradually turning the water to poison. Elegiac, articulate, in his debut work Weymouth teases out the river’s story, brimming with incident and anecdote: sometimes an adventure, sometimes a salutary warning of our fragile interdependence with the natural world.